Ever wonder what it would be like to talk to a tree, so old and so wise? It might give you the answer to that question you have been pondering, or perhaps even know the future. Archimedes, the tree of knowledge, is waiting to have a full conversation with you at Fairchild Tropical Botanic Garden. What? You might think this is child’s play. A talking tree, c’mon, this is silly. But Archy is actually quite sophisticated. Yes, we are on a nickname basis. I do not claim to know his magic though I did experience his humor firsthand. 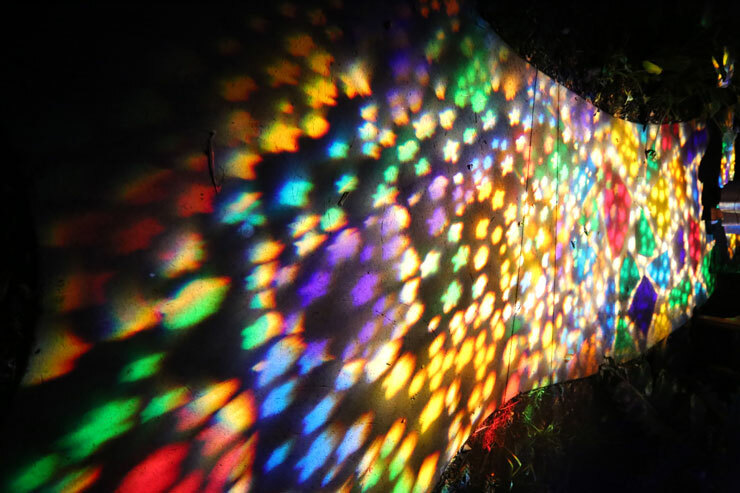 He is part of The Night Garden, a 23-acre enchanted forest filled with mystical beings and millions of glowing flowers, which will be installed at the 83-acre nature preserve through Jan. 6. 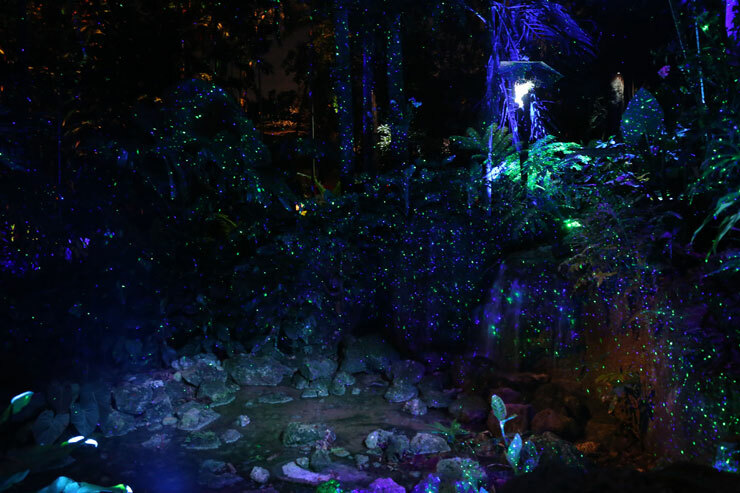 As you walk down an illuminated path, magical creatures surprise you among the trees and flowing waterfall fountains. Enchanting music plays. Fairies flutter their wings over streams alongside captivating trees and flowers. Look up and all around you. Colorful lights swivel and turn to your heart’s delight. As you cross wooden bridges, like in fairy tales, purple, pink, yellow, and blue lights, romantic in their hue, charm your vision. It's quite like a dream. 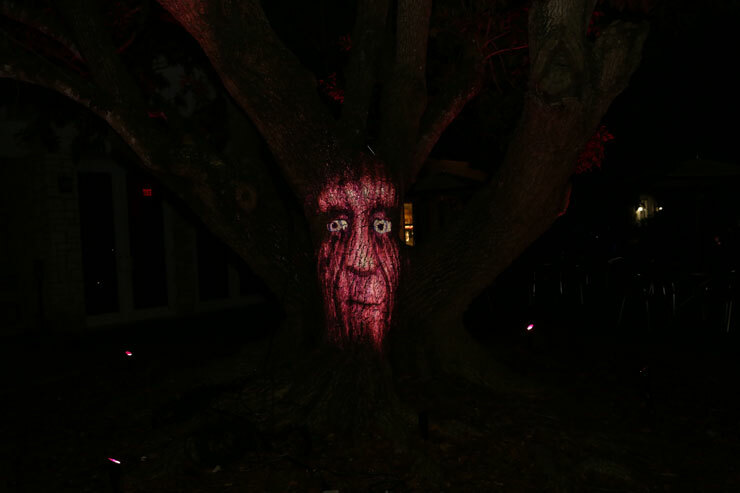 As you approach an old giant tree, a face with clear blue eyes appears on the thick trunk. He will ask you questions and answer yours. When I went up to the tree, he asked me my name and what brought me to the garden. I told him, “It’s Monica. I am a journalist.” He asked what publication I was with. 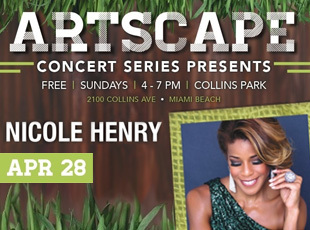 I answered, “miamiartzine.” He replied” “Have many people seen the zine?” Like I mentioned above, the tree has a sense of humor. I then asked him his age. He said: “I am 130 years old. I have been here since before the city of Miami was founded.” He is like many of the trees in the vast garden, which was established in 1938. The talking tree is just one of the many majestic attractions at The Night Garden. 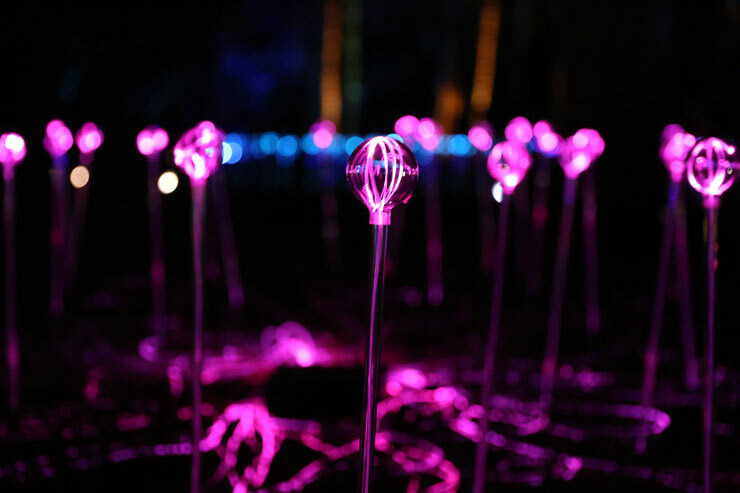 You will also discover fairies, owls, birds, thousands of butterflies, a one-million glowing orchid installation, and a neon dandelion field. But is it all real, you might ask? Well, as in the immortal words of the Beatles, “nothing is real.” Kilburn Media, a Los Angeles based company, created the interactive experience, which includes lighting displays, state-of-the-art holograms, 3D projection mapping, video installations, sculptures, and motion sensor technology. 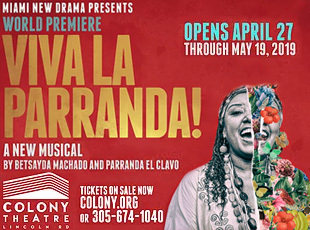 10901 Old Cutler Road Miami, FL 33156. Sunday – Thursday: 6 p.m. – 10 p.m.
Fridays – Saturdays: 6 p.m. – 11 p.m.
*Holiday hours vary, blackout dates apply. Check website for full schedule. 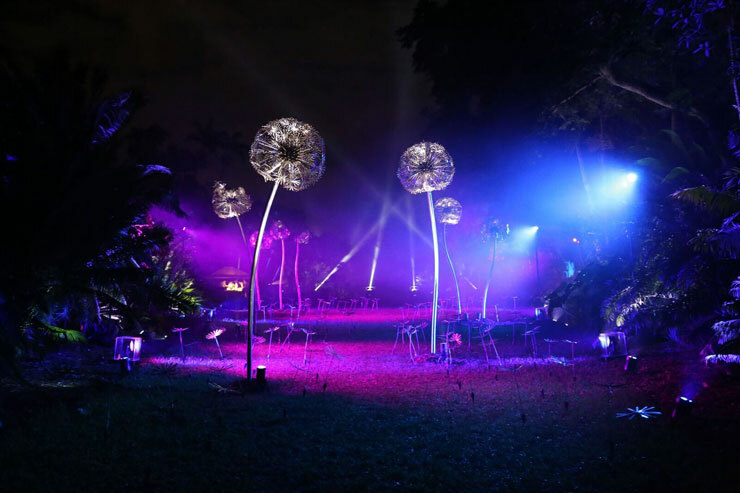 Fairchild Members: $20 (Adult) / $15 (Children).